As you may know, Sabine grew up in Germany and much of her design style and awareness of smart, healthy, and green innovations comes from a lifetime of exposure to that way of life. In Germany there is a word they use – Gemütlich and it means, “a space or situation that is warm and cosy, that induces a cheerful mood and peace of mind, without a need to hurry or worry.” It’s a great quality, especially when it comes to home design. The Danish have a similar nuance when it comes to how they approach home design, they call it Hygge (pronounced ‘hooga’). For Danes, hygge is very similar to gemütlich, but it goes deeper in many ways, almost as though it were embedded in their cultural, their DNA, their social order. 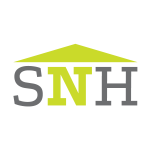 This mentality goes right to the heart of how they approach home design and life and is quickly becoming the hot new home design trend for 2017. 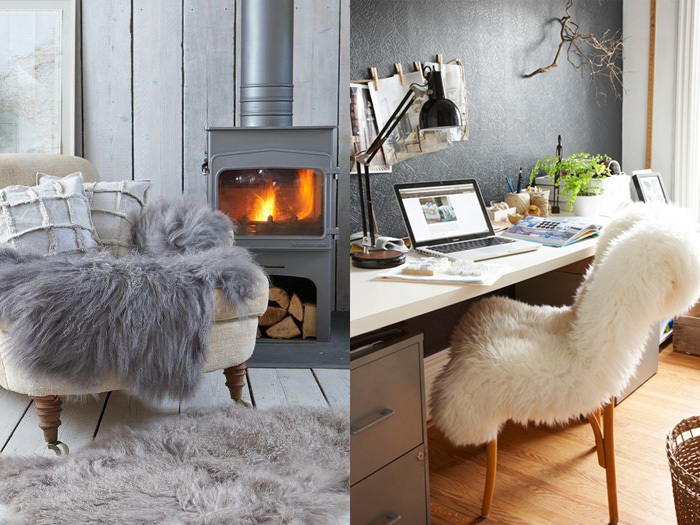 So how do you create hygge in your home? Well here are a few ways you can get the look in your own home. The Dane’s aren’t ones for embellishment or ‘loud’ colour schemes – the idea is to create a calm, serene space that is peaceful and free of clutter. Schemes are often purely monochrome, or a subtle mix of harmonious tonal shades. The Danes light more candles per head than anywhere else in Europe and it’s not hard to see why. The warm glow of a candle simply can’t be replaced by artificial lighting; it’s about creating an inviting atmosphere and developing a soft, kinder form of light that’s perfect for relaxing and socialising – two things the Danes do best. Make sure they’re white and unscented though, the Danes are purists after all. There’s nothing better, or more luxurious, than spending an extra hour or two in bed. Luckily, hygge encourages this concept, whether it’s enjoying a Sunday doze, reading the morning paper, or having breakfast in bed. Create a cosy space to snuggle up in with plenty of layers – pile on the quilts, blankets and pillows for an indulgent place to relax. Every home should have a little cosy nook to retreat to, preferably a window seat with a view looking out to nature. Add layers of cushions and a blanket and enjoy an afternoon of peace and quiet with a good book. Huddling around a roaring fire with family and friends is definitely part of the Danish culture – a wood-burning stove is a great energy-efficient option that the Danes would definitely approve of. The Danes use a mixture of materials and pattern as a way of adding character and interest to what would otherwise be a relatively minimalist scheme. They tend to introduce plenty of warm, natural materials, such as wood, leather and wool. 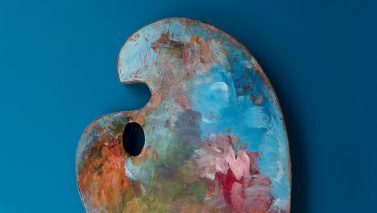 The overall look still needs to adhere to a tight colour palette, however, to prevent it from clashing or being too distracting. If nothing else, one of the most important concepts of hygge is to get together with close friends and loved ones in a relaxed environment. Think less formal sit-down dinner party and more a get-together over a good bottle of wine, accompanied by hearty comfort food and homemade bakes served in rustic earthenware. While hygge is usually associated with the chillier winter months, that doesn’t stop the Danes enjoying the great outdoors. Wrap up warm in faux fur and blankets, gather around a brazier and surround yourselves with lanterns. Finish it off with an indulgent hot chocolate or a mug of mulled wine. Hygge isn’t just for winter either; a day spent lingering over a leisurely picnic in the park or a barbecue at home is equally hygge. 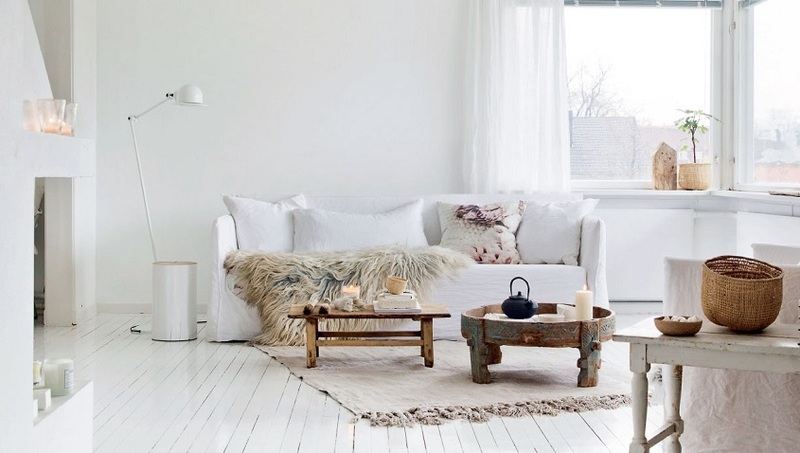 There’s a reason Japanese organisation guru Marie Kondo has sold millions of copies of The Life-Changing Magic of Tidying Up – so many of us desire a mess-free home, and none more so than the Danes. To truly embrace hygge, invest in clever storage solutions that can hide away any unwanted visual clutter to create a serene space. Hygge is all about culturing an environment of happiness, so what better way than to put up a creative display of all your favourite family photos, travel paraphernalia, prints and paintings? Rather than a rushing for a quick shower in the morning, make sure your bathroom is a place for rest and rejuvenation. The trend for spa-style bathrooms is on the rise with even saunas – a favourite among Scandinavians – becoming more common in bathrooms across the globe. Simple is often best, however, and nothing beats a soak in a steaming hot bath. Invest in candles, fluffy bath robes, clever storage, good lighting and even a sound system to make your experience as relaxing as possible. The Danes hate waste, so reuse and recycle objects where you can – get creative by upcycling antique pieces of furniture or find a new use of an old item. The good thing about hygge is that nothing has to be perfect; it’s more about the sentimentality of an old armchair that used to belong to a family member, for example, than buying lots of brand-new furniture. 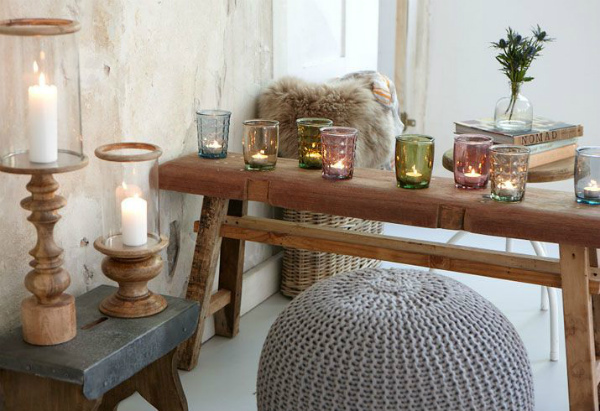 We hope these little tips will inspire you to bring a little Hygge into your home. It really is all about making it about you and letting go of all the clutter in your life, in your physical environment, and your mental and emotional spaces. Sometimes it’s all about finding that healthy balance, the center that allows us to truly take it all in and enjoy life to the fullest. Home Decor at its Best – Who is the Designer?